Blockchain was initially launched to support bitcoin; however, it now has a magnanimous impact across all sectors. It is increasingly penetrating various industries including the music industry, the gaming industry and the manufacturing industry among others. The technology has become so impactful in just a limited amount of time that it won’t be wrong to say that it has the capability to completely overturn the way we conduct businesses online. It is a superb ingenious invention that entails a digital ledger that records all economic transactions and every other information that is valuable. Blockchain developers have an exciting career ahead beside higher salary range. Professionals are increasingly resorting to Blockchain certification to get hired by ultra-tech industries. 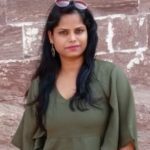 Neha Singh is a full-time writer with a keen interest in blogging and penning articles on any topic under the sun. She believes in living life to the fullest, and is on a constant lookout for new skills that she can acquire.